WhatsApp is a fantastic instant messenger, but that doesn’t mean it couldn’t be better. Whether it’s hiding media from snooping eyes on WhatsApp Web or using two WhatsApp accounts on the same phone, a few apps and extensions can make anything possible. To use any of the extensions, you’ll need to be running Google Chrome or a Chromium-based browser like Opera. And of course, you have to use WhatsApp Web on the computer. Meanwhile, the apps in this list rely on Android. But the lone WhatsApp Messenger bot can be used with any device. If you have a dual-SIM phone, you probably want a WhatsApp account for each of the numbers. There are cloning apps to use multiple accounts, but WhatsApp doesn’t work on most of them anymore. An easier option is to use WhatsApp Business. WhatsApp Business is an official app from WhatsApp, which is basically another version of the messenger you are used to. It has a few additional features for businesses, like “quick replies” to send frequently written messages, labels to identify different chats, and so on. But more than anything else, WhatsApp Business works perfectly with two different numbers. The contact list remains the same on both apps, but you get to decide which SIM you want to reply from by firing up either WhatsApp or WhatsApp Business. Right now, WhatsApp Business is available only for Android and not on iOS. WhatsApp has said that it will soon be launching an iOS version for the new iPhone XS, XS Max, and XR, which let you use two SIMS. Sometimes, you’re driving your car, studying for an exam, or are too busy to reply to incoming messages. You still don’t want to be rude though. 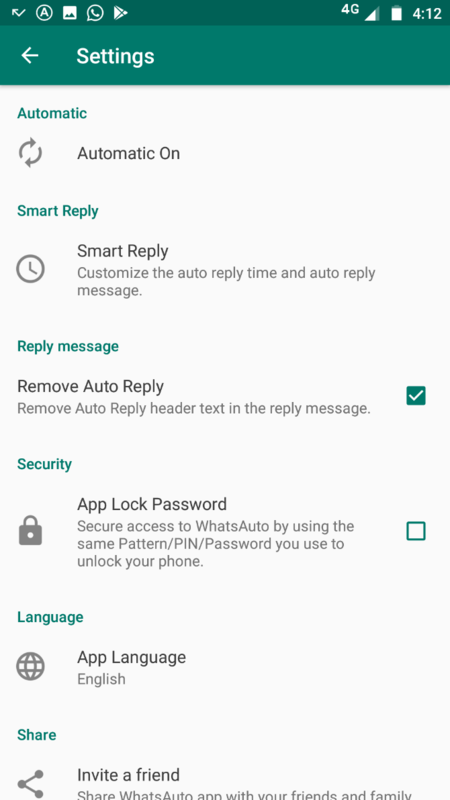 WhatsAuto lets you set up auto-replies for any texts you get. The app is easy to customize. You can choose from preset template auto-replies, or create a custom one. It works with formatting, so you can bold, italicize, or strikethrough any text. You can choose who to send auto-replies to, such as your whole contact list, only some people, or all people with the exception of your favorites. By default, there is an “Auto Reply” header on top of the reply, but you can remove that if you want. 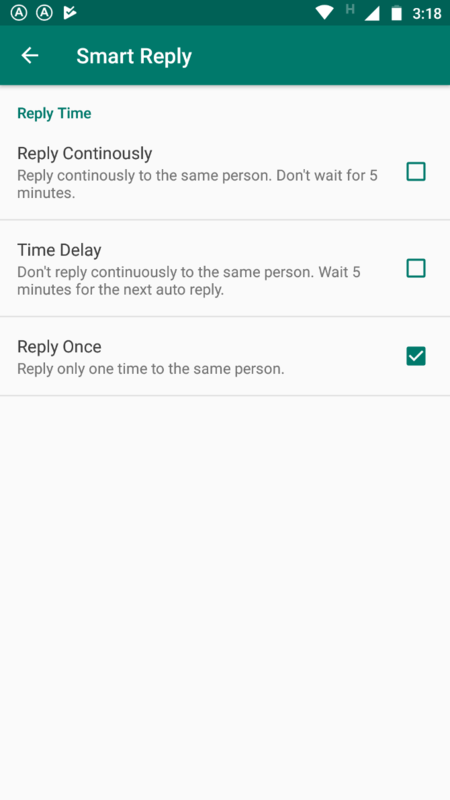 WhatsAuto also lets you choose how often to send a message. You can reply to every message that a contact sends, or be less annoying by giving them a five-minute window before sending the auto-reply again to that contact. 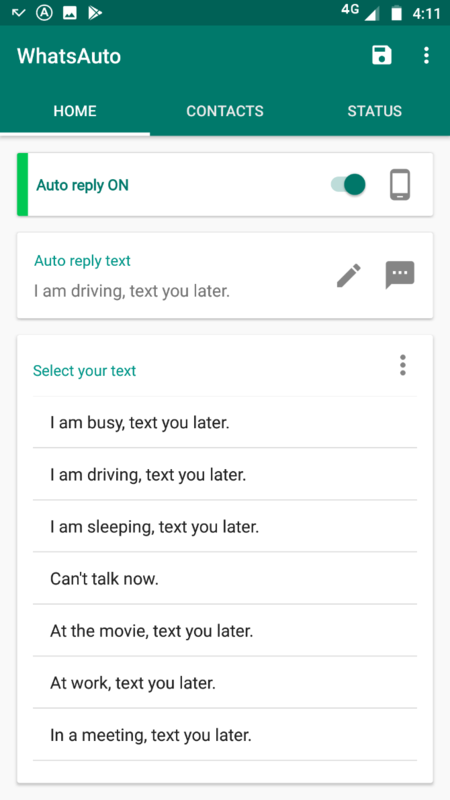 While there’s a status saving feature in WhatsAuto, it didn’t work well for me. WhatsApp is more than just a chat app. There are some powerful services you can use in WhatsApp, like job alerts, news updates, and so on. One other service you probably didn’t know about is Wikipedia. Send a word to WikiBot, and it will show you the Wikipedia definition. You will get a reply acknowledging that you have activated the service, and will also mention a method to unsubscribe if you ever want to. That’s it, you’re set to use the bot. Send a word or a phrase, and WikiBot will reply with a few lines of definition. It’s a good way to look up the meanings of simple things or find out who a person is, without having to Google them. WhatsApp Web auto-loads all the photos and videos anyone sends you. And on the big computer screen, that can be a privacy nightmare as anyone walking by can see what’s on your screen. Hide Media is a simple extension that auto-hides all images on WhatsApp Web by default. The image is still downloaded, but it is blurred so that you can’t see it. To view the image or video, hover your mouse cursor over it to reveal. For a video, you can press the play button once you reveal it. 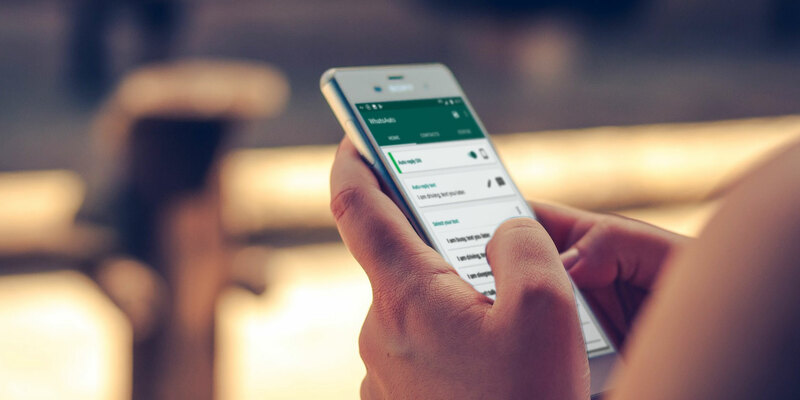 It’s a simple and efficient app to take back some control over your privacy while using WhatsApp Web. Of course, you should also be using other tips to maintain privacy while using WhatsApp. 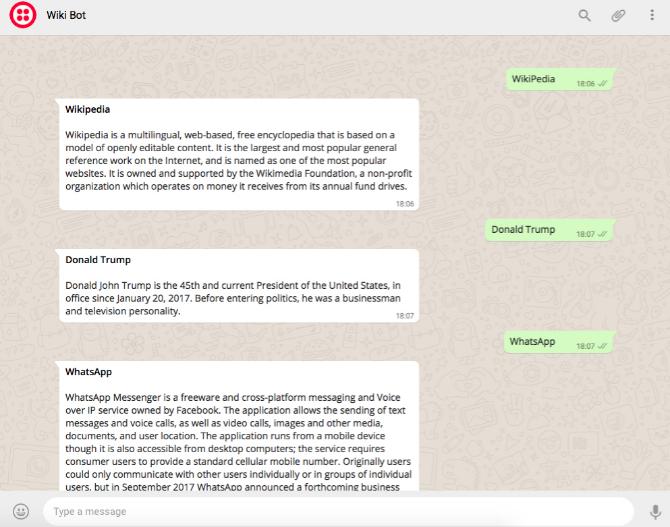 WAToolkit is a must-have Chrome extension for anyone who uses WhatsApp Web. It adds two tricks that make WhatsApp Web so much better, along with a few other useful features. First, WAToolkit fixes the width of chat bubbles. 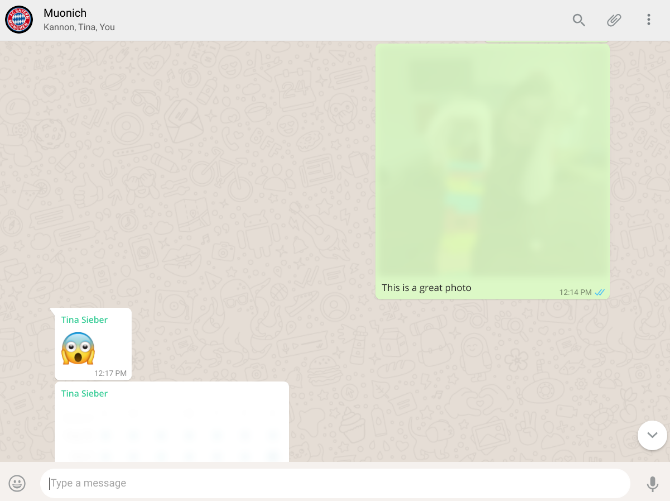 For some reason, WhatsApp doesn’t stretch chat bubbles across the entire screen, not utilizing the extent of your wide monitor. 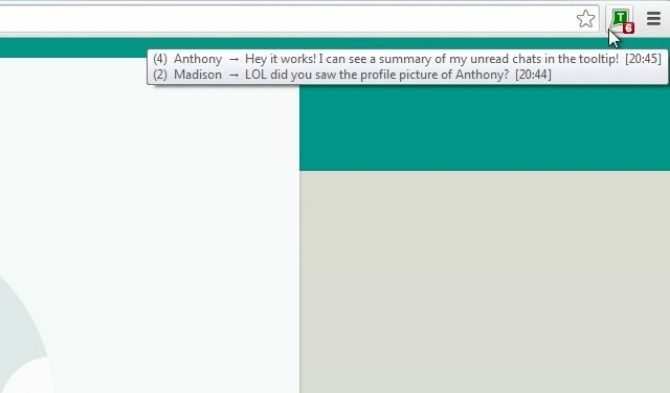 WAToolkit makes chat bubbles full-width to optimize screen space. Second, you get a WAToolkit icon in Chrome’s toolbar. When you get a new message, the icon will add a badge for unread messages. Hover over the icon to read all your incoming messages without ever switching to the WhatsApp Web window. It’s not only a time-saver, but it’s also a sneaky WhatsApp Web trick to read messages without them getting the two blue ticks for “Seen”. The aforementioned icon also turns orange if there’s a connectivity issue with your phone, which happens quite often with WhatsApp Web. WAToolkit also adds always-on desktop notifications, so that even when you close Chrome, you get WhatsApp Web notifications. These apps and extensions are an excellent way to power up your WhatsApp experience. Right now, there isn’t much love for iOS, but hopefully that will change over time. Still, you don’t always need to rely on add-ons. In fact, WhatsApp introduces new features all the time, making many of these tools redundant. For example, you can now check which chats are using up the most amount of storage space, or change numbers while still keeping your WhatsApp data intact.